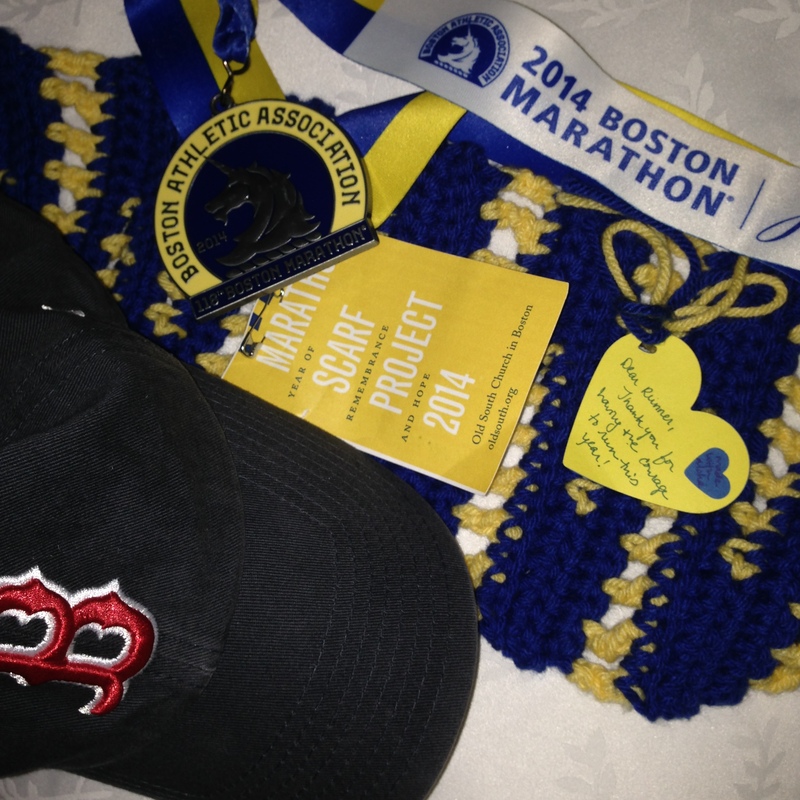 I heard from another scarf recipient! I’m so excited to share that I heard from another one of my scarf recipients!!! On Saturday night I got an email from Dave Flahive who hails from Southern California. He was at last year’s marathon with his running club, Run Your Potential, though fortunately they finished before the bombs went off. This year they came back with 30 people! Dave received my Zagnut, which I selected after looking at many scarf patterns. I wanted to make a scarf with a running theme and the pattern made me think of switchback trails. These scarves were intended as more than just mere souvenirs. 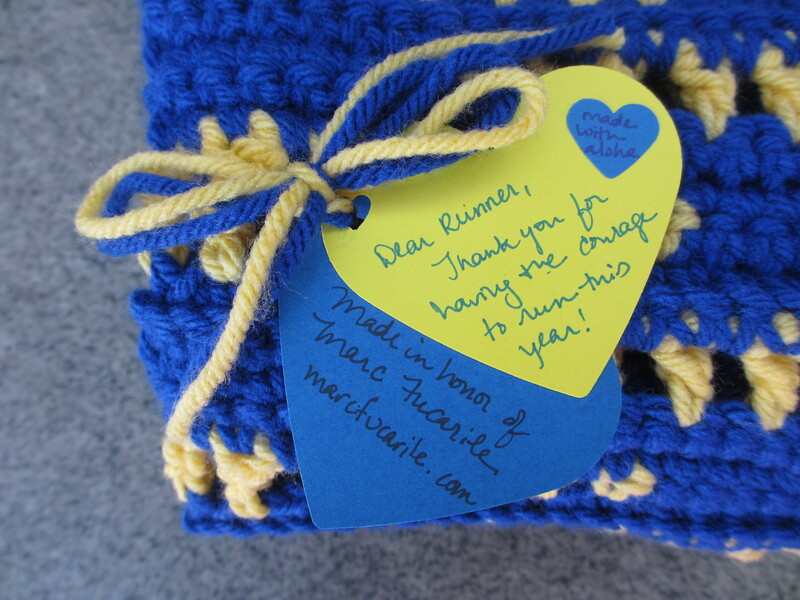 They were a tangible way to thank and comfort returning runners and wrap all runners in love, hope, and peace. It was so special to hear from Dave what it meant for him to receive my scarf and to know that the care that went into it was felt and appreciated. 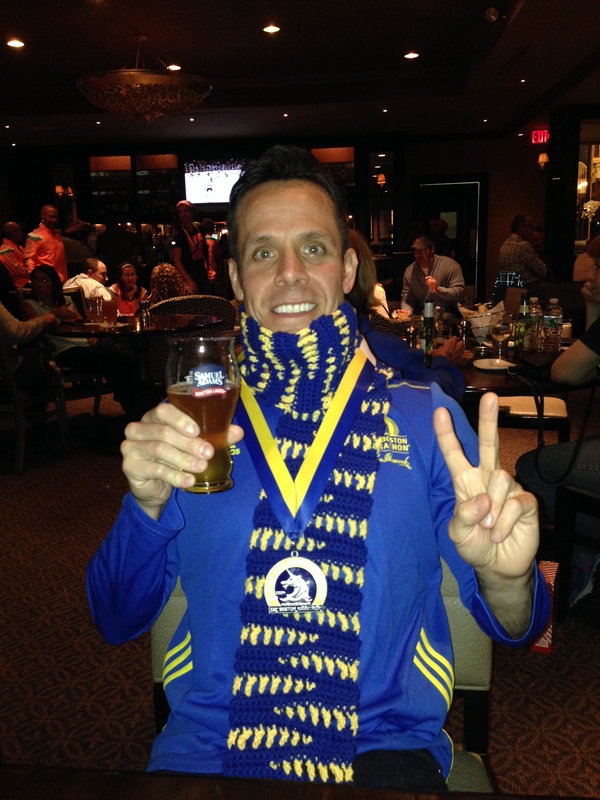 It’s also really awesome to see the scarf worn proudly along with his finisher’s medal! Congratulations to Dave and the rest of the club! ← Newton Free Library has been yarnstormed!